These Ballot Boxes Come with a Security Pen for Convenience! 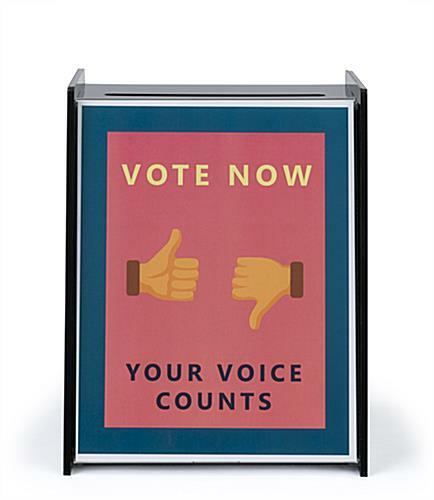 These Suggestion Holders Are Acrylic Comment Containers with a Sign Frame! These Ballot Boxes Ship Quickly! 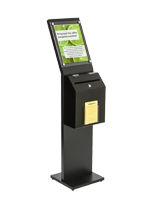 These ballot boxes are the best way to accumulate information regarding customer experience. 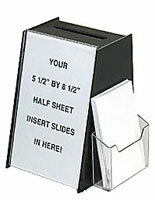 The suggestion holders are designed specifically for full sized ballots. 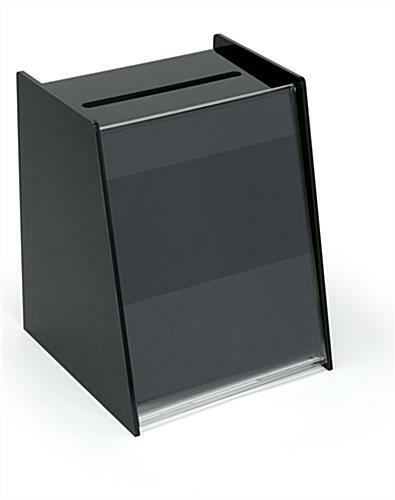 These ballot boxes, sometimes called comment bins, are crafted entirely out of acrylic to ensure durability. 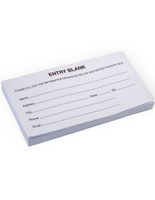 The suggestion holders are rugged enough to withstand many years of normal use. 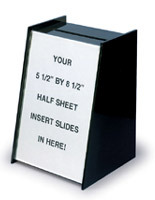 These ballot boxes include a frame for 8-1/2"w x 11"h images. 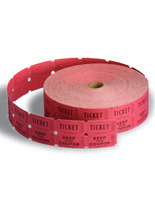 The clear lens on the front of the comment bins allows users to quickly change the promotion. 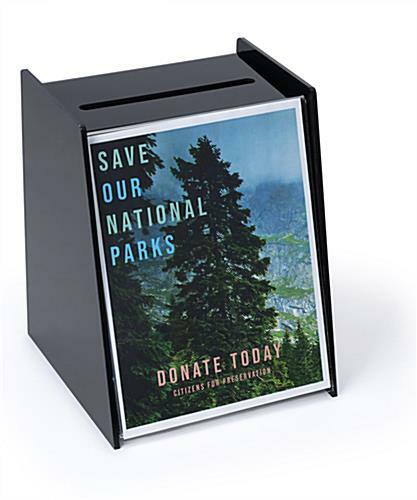 These ballot boxes are designed for 8-1/2" x 11" images for convenient printing from a home computer. 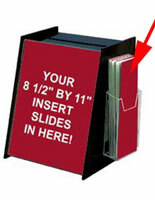 The suggestion holders are 11" tall by 9" deep for keeping lots of information! 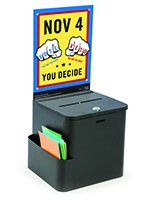 These ballot boxes feature a 7" x 1/2" drop slot for placing opinions. 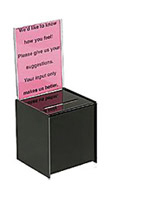 The suggestion holders allow passersby to quickly put their comments in the units. These ballot boxes also come with a security pen, which makes it easy for people to leave their ideas. The comment bins are the easiest way to gather all of the most applicable notices. 8.8" x 11.0" x 20.0"